Chakras are the main energy centres in the body and correlate to specific body ailments and physical dysfunctions. They also house our mental and emotional strengths. There are a total of 7 chakras (Root, Sacral, Solar Plexus, Heart, Throat, Third Eye and Crown) and even if one goes out of balance, we experience physical and emotional weakness. The goal behind all spiritual practices is to create a space of balance between body, mind, spirit, earth and health. Chakra balancing refers to a practice of restoring a harmonious flow of energy across the chakra system. Let’s understand how we can bring about a balance in our disturbed chakras through spiritual practice and guidance. Yoga is an extremely beneficial method to release prana (life force) whenever it feels stuck. It helps release the negative energy and invites fresh energy using movement. Some of the yoga postures that can help release the stuck or stagnant energy are Tadasana, Veerbhadrasana, Setu Bandhasana, and Muladhara among many others. Pranayama is one of the Eight Limbs of Yoga and means ‘lengthening of the prana or breath’. It is an intense and focused breathing technique that helps direct our energy flow for the purpose of healing and self-realization. Pranayama is not a mere breath work, it is also about attaining positive energy, energy breathing and energy direction. Chakra meditation is approached from 2 directions or levels – cause and effect. Unless the cause level has not been addressed, effects such as feeling exhausted or upset inside the body, will continue to persist. Therefore, chakra meditation should involve a form of meditation that helps bring attention to oneself and attain a state of pure awareness. 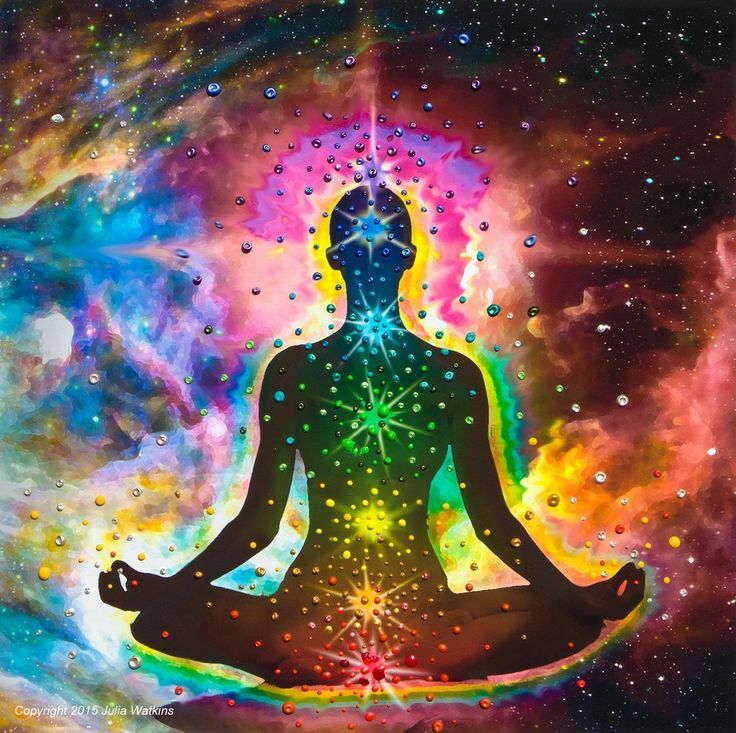 The next meditation involves forms of chakra meditation used to alleviate the feelings or effects of being isolated and separated opposed to the whole that we usually are. If you are new to Chakra Meditation, practice guided meditation. For all the chakras, take a deep breath and concentrate on the respective chakra and its colour, chant the appropriate chakra while exhaling. The word “mantra” stands for “thoughts that liberate from samsara (the world of illusions)”. Mantras are chanted to achieve different states of consciousness, to create resonance with specific attributes of divine energy and to manifest different qualities, from resonating the chakras to embodying compassion. Mantras of “OM”, “AH” and “HUM” are particularly used for chakra balancing and are effective for working with a group in order to create and then project sacred sound. Every culture have their own set of mantras used to assist in planetary healing sound—using sound in order to assist in the creation of peace and harmony in life. You can use classical music to harmonize your chakra system consciously. Ragas are melodic structures with musical motifs. They are designed to activate specific chakras, allowing the Kundalini energy to rise easily and energize and nourish the chakra. The raga also makes the chakra to maintain its optimum spin and balance, to balance the energy supply to different bodily organs that are connected to specific chakras. Creating a body-mind chakra balance is not only a vital but also a delicate procedure. It is important to do it the right way and at the right time. If you are a beginner, find yourself a spiritual teacher who will provide appropriate guidance to help you through the process.